I would always have hope. Then the responsibilities and realities of adult life began to set in. Moving to Europe was really hard at first and I didn’t easily pick up the language. My daughter’s birth didn’t go as planned. We had to give up the dog we loved because we couldn’t give him the home he needed. Ryan had to delay going to grad school. We moved back to our hometown. Now we’re preparing for the next stage in our life journey and I’m having a hard time believing everything is going to turn out okay. There are so many unknowns, so many things that could go wrong or we can’t plan for that for the first time in my life I’m struggling to hold onto hope. I worry that my optimism is giving way to pessimism. 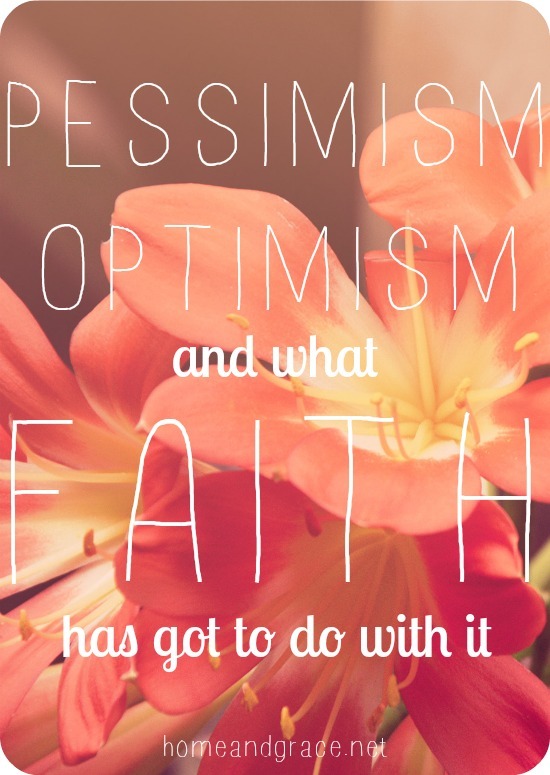 But deep down, this is more than tension between optimism and pessimism – it’s a question of choosing faith or fear. Fear believes that no good can come from a difficult situation. That we will be abandoned and left on our own, helpless to accomplish anything. It wants to paralyze us and keep us from being willing to try anything risky. Faith believes that God works all things for our good and his glory and the circumstances in our lives, whether easy or hard, are the tools God uses to shape us more into his image. So even when things don’t go how we want we can trust that God is actively working and desires for us to grow in our faith and trust in him. I want to choose faith, faith that believes God loves me and is actively working in ways I can’t see, who has plans and dreams for me that are greater than what I plan and dream for myself. God I have faith; help my lack of faith! So I’m trying to have faith and to be optimistic. It’s hard, a lot harder than I expected, but each time I choose faith over fear I see how God was always there and I had no need to consider fear as an option. What about you? Are you an optimist or a pessimist? I am an optimist, although I feel my optimism is giving way to realism… which tends to look like pessimism in these days of my late 20s. We actually talked about this at home church last night: that even when God comes through and provides and we experience peace, we’re confused and waiting for ‘the catch’. We become so acclimatized to fear and disappointment. And indeed. God help our unbelief! Realism looks like pessimism if you’re an optimist and it looks like optimism in you’re a pessimist! (at least that’s how it seems to pessimistic Ryan and optimistic me). 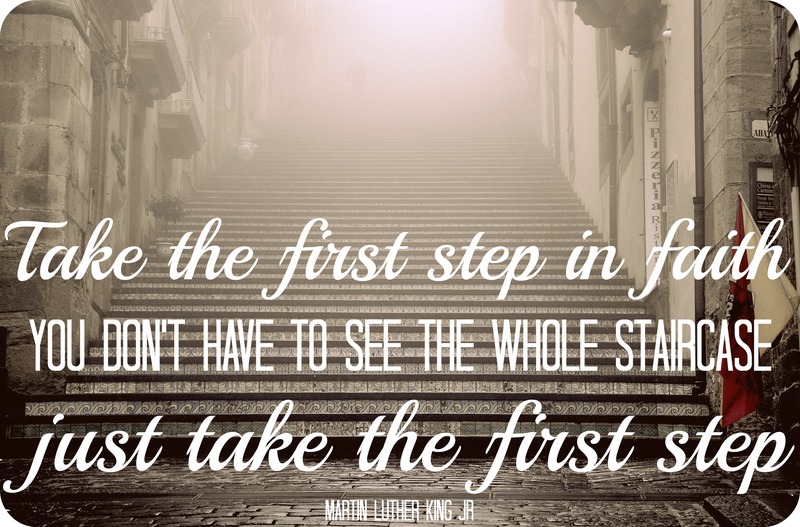 We do become acclimatized to fear and that’s what paralyzes many people – it’s scary to step out in faith! But as I’ve seen, it become easier and more freeing the more you do it. It’s never easy but it’s definitely better.